Occidentalism » Blog Archive » Another Picture of “Dokdo” from Ulleungdo? Another Picture of “Dokdo” from Ulleungdo? The following picture of “Dokdo” (Liancourt Rocks) was supposedly taken from Ulleungdo on January 15, 2007 with a Nikon D200 camera using a 70-300ED lens. It appears that you can see even the lighthouse on Dokdo, which is 92 kilometers southeast of Ulleungdo. Supposedly, even two mountain ridges near Samcheok City in Gangwon Province were also captured by the camera on the same day. The mountain ridges are between 130 and 150 kilometers away from Ulleungdo. Link to the Korean article. The two islands of Usan and Mu-leung are due east of the present “hyeon” (Uljin), and the distance between them is close enough that they are visible on a clear, windy day. In the time of Silla, they were called Unsan-guk or Ulleungdo. Finally, I would just like to remind people that Koreans back during the Joseon Dynasty did not have a Nikon camera with a zoom lens or a sign pointing in the direction of Dokdo. They also probably did not have the time and patience to sit on top of a mountain on Ulleungdo waiting to get a view of a ghost island that may appear only once in a blue moon. emprator, do you know from what elevation one is able to see Mount Clemente from San Diego? Bad moon rising. We don’t really need to determine whether or not Dokdo is visible from Ulleungdo when even Japanese records like the link I posted state it is true. For what it is worth here are the sketches of Dokdo done by the Russian Navy in 1854. They are from different angles and distances. The top left image is Dokdo as seen from a distance of 6.5kms the bottom left is from 9.3kms and the top right is Dokdo Island as viewed from 26kms away. They were done from the naked eye and from sea level. Correction the date of the map was 1857. It took 40 days to this photograph with 500mm lens, according to the article on 毎日新聞 at December 10, 1999. Sure, the best way to verify Dokdo’s visibility is to actually go to Ulleungdo. But Gerry-Bevers is wondering whether Dokdo is large enough to be seen from 92km away. The link I got the quote from does not indicate the elvation from which San Clemente is visible. But if you’re trying to relate that to Dokdo, I would think that elevation is important mostly because of line-of-sight. That calculator seems to assume no refraction. This page on Distance to Horizon suggests that refraction extends the distance to apparent horizon, which would mean that the height required to see the whole of Dokdo is probably less than 700m. I’m only trying to address the question of visibility. I don’t see why so many people assume this photo is fake. If the capability of the camera is in question, someone familiar with the camera should calculate how many pixels Dokdo would take up in the picture if zoomed in all the way with the camera. If your goal is to show Dokdo belongs to Korea or Japan, it’s probably better to debate whether visibility is relevant to that issue. > Dokdo is/was not an inherent part of Japan since ancient times. Takeshima/Dokdo (Matsushima) was a part of Japan since early 17th century. Ulleungdo was also thought to be Japanese territory in the 17th century, as you can see in the Onsyu-Shicho-Gouki (1667) which clearly said that Ulleungdo was Japanese boundary. After Ulleungdo was returned to Korea in 1696, Takeshima/Dokdo remained in the Japanese territory. > I have about another dozen Shimane Prefecture maps that show the same. As I’ve written many times, a map without something doesn’t mean anything although if a map with something clearly depicted, it will be a evidence to show that they knew it. Japan has accurate maps of Takeshima/Dokdo but Korea has none. > Pacifist are trying to claim that a military acquisition is a legitimate criteria for incorporating land!! toadface, I didn’t say it is legitimate to take one island brutally by force. Korea did it brutally and still keeps occupying it. You must remember that some Japanese fishermen were killed because of Korean violence, but in 1905 no Koreans were killed because there were no Koreans, they even didn’t know about the island. Japan didn’t take it brutally in 1905 because it was no man’s land – at least Korea didn’t know about the island until 1905. So Korea doesn’t have a right to claim. If you want to refute, why don’t you bring the evidence to show that Korea knew it, used it or owned it before 1905? But you haven’t succeeded in it yet. Isn’t it an essential thing if one country claim another country’s land? From what I have read, if this picture was taken with a 500mm lens, then that means the image looks ten times bigger than it would look with the naked eye. Imagine an image one tenth the size of the one in the picture. It would be just a spot on the horizon. Not only that, it would be a spot that appears only when conditions are just right. If it took the photographer forty days waiting on a mountaintop to see that spot, even though he already knew which direction to point his camera, then how likely would it have been for Koreans trying to survive on Ulleungdo hundreds of years ago to have spotted that spot not knowing in which direction to look? In 1882, Lee Gyu-won confirmed that Koreans did not know where “Dokdo” was. He also went to the top of Ulleungdo’s tallest mountain to look for islands on the horizon, but reported that he did not see “even a lump of dirt.” Lee also confirmed that the Koreans living on Ulleungdo at the time also did not know where “Usando” (Dokdo) was. They had heard Usando was a neighboring island of Ulleungdo, but did not know its location. Usando was just another name for Jukdo, Ulleungdo’s largest neighboring island, 2.2 kilometers off its northeast shore. Thank you for the confirmation that Lee asked about Usan. So, that means that if the islanders had seen the Liancourt Rocks from the top of Ulleungdo’s peak or while fishing out in the sea, as the Dokto cult members believe, they didn’t think it was Usan. I don’t know how Japan could be considered “greedy” or “militaristic” for incorporating an island Koreans saw but did not consider theirs, or didn’t see at all. I’m curious about what western maps Kojong had. Do you have any information on that, Gerry? If they had acquired the three-island map, I would think the Koreans would have thought, “Ah, Ulleungdo and Usan are Argonaut and Dagelet,” based on the size. Or did the Russian diplomats inform the king that they had accidentaly mapped a non-existent island? This is a photograph which was took from the Takeshima observatory in Ullengdo in fine day. The picture that I introduced is the one of a Japanese site and the author went sightseeing in Ullengdo. She said follows. Tokto of the topic is seen in this direction 92km ahead. However, I did not see anything. A point far because of a thick fog seems not to be seen in the morning. I went in the afternoon again. Takeshima was not still seen though the fog was lost. Can Takeshima be seen really? I think that Takeshima can be seen from near the top of Ullengdo. There is a record “Takeshima was seen with a telescope” in the report of warship Amagi. 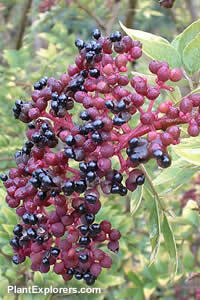 However, isn’t it about several days in year with the unassisted eye? toadface, I didn’t say it is legitimate to take one island brutally by force. Korea did it brutally and still keeps occupying it. If Takeshima (Dokdo) is a Korean territory, Korea should have demanded return of an island peacefully. Pacifist. The quote you cite was by Saito Hosen in 1667 and the Japanese erroneously interpret this to mean that Ulleugdo is the Northwest boundary of Japan. But if you read carefully and understand what Saito Hosen was saying in reality it was Oki he was determining as the Northwest boundary of Japan. This belief is shared by some Japanese scholars as well. In addition, Japanese national maps do not show any islands West of Oki. I’ve told you this at least one hundred times now Pacifist. Here is the page regarding Saito Hosen’s report on Oki. Also included are maps from this era showing indeed Oki was mapped as the limit of Japan at the time. There are also 17th Century Japanese maps on this page both prefecture and national. No Japanese maps of this era show Ulleungdo or Dokdo as Japanese land. Pacifist, what Japan has from this era is maps from a few fishermen who had permission to voyage beyond Japan’s national boundaries. These are not titles or deeds to land. Japan had maps of the world showing far superior to those of Korea. Cognizence is not title in itself, if so Japan had title to Africa…..? Japan’s acquisiton of Dokdo in 1905 was for military purposes and thus not part of the natural process by which states acquire land. SQZ. Korea didn’t stand a chance on getting back Dokdo in 1945 after WWII. The Americans had their own criteria for deciding who should get Dokdo and it had more to do with posturing themselves for the upcoming Cold War than a legitimate search for Dokdo’s real owner. 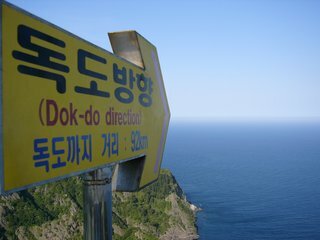 Dokdo is about the same distance from both Korean and Japanese mainland. However, Dokdo is about half the distance from Ulleungdo than that of Oki Island. Ulleungdo had been indisputably Korean land for centuries before the first dizzy Japanese sailor stumbled upon the region in a storm. There are no historical references or maps prior to the military annexation of Dokdo that separate Ulleungdo from Dokdo. > The quote you cite was by Saito Hosen in 1667 and the Japanese erroneously interpret this to mean that Ulleugdo is the Northwest boundary of Japan. No, you are the one who erroneously interprets the text. (you can ) view Korea (from here = Ulleungdo) just like you can view Onshu (隠州; Oki island area) from Unshu (雲州; Izumo area, east part of Shimane). this area was decided as the boundary. The word “此” (this) indicates the matter (place in this case) written just before, that is Ulleungdo, NOT Oki. And Housen Saito decided the place to be Japanese boundary because he could see Chosun from　there. You can’t see Chosun from Oki, or Takeshima/Dokdo. The only place where you can see Chosun is Ulleungdo. toadface, I’m anxious about your health. You may have worried from dementia? Don’t you have risk factors such as diabetes, hypertension, hyperlipidemia, obesity or smoking habit? Please take care. > Pacifist, what Japan has from this era is maps from a few fishermen who had permission to voyage beyond Japan’s national boundaries. These are not titles or deeds to land. Japan had maps of the world showing far superior to those of Korea. Cognizence is not title in itself, if so Japan had title to Africa…..? I told you hundred times that maps are not always mean territorial area. The form of the permission of the Oya family (and the Murakawa family) was differnent from that of permission to go abroad (ご朱印状), it was special permission to go to the Shogunate’s land. In those days people couldn’t go out of their clans without a permission. “Cognizance is not title itself”? Yes, you are right but WITHOUT cognizance no chance of title at all. Korea has no evidence of cognizance of Takeshima/Dokdo at all, they even didn’t have a Korean name for it. Do you agree? If you don’t, why can’t you show the evidence that Korea cognizant of Takeshima/Dokdo? Thanks for your hard work, Kaneganese. When you make a few more we can attach the maps and pictures to your text. Pacifist. The Shoganate can only govern over land that is part of a prefcture or district of Japan. All coastal maps of Japan prefectures at this time do NOT show Ulleungdo or Dokdo. Wanna see again…? OK.
As you see what the shogunate gave was permission to voyage to Ulleungdo and Dokdo…..that’s all. Pacifist, you know I’ve read your incorrect translation of Saito Hosen’s Oki Report. But we all know that he was using visibility as a guide to determine ownership of the islands. Saito Hosen said “viewing Chosun from here (Ulleungdo~Dokdo region) is the same as viewing Oki from Shimane. Thus this territory marks the westernmost limit of Japan. He was using the fact the Korea was visible from this area to determine the boundary of each country’s territorial limit. The word “Thus” means he had reached the conclusion that Oki was the end of Japan’s land. If not why use the comparison at all? Unfortunately, your bizarre translation is fueled by your hopes. The other translation which is also shared by some Japanese can be supported by Japanese maps of the day. Does not Korea have the diplomacy right? If Korea has it, there is a chance anytime. As you already know, the Shogunate banned to go to Takeshima (Ulleungdo) in 1969. But the declare didn’t include Matsushima (Takeshima/Dokdo). BTW, Aizuya Yaemon was arrested and was sentenced to death in 1836 being accused of smuggling in Ulleungdo. The court desicion included the following sentence: “(He) went to Ulleungdo under the pretext going to Takeshima/Dokdo”. Going to Ullengdo was banned but going to Takeshima/Dokdo was not banned. That means Takeshima/Dokdo was Japan’s territory still in the 19th century. The word “this territory” (more precisely it is “this place” or “this area”) should mean the place from where you can see Chosun. So the place is Ulleungdo. Or as you say if “this Onsyu (Oki county)” was what Housen meant, then the Oki county should included Ulleungdo (and Takshima/Dokdo of course) because you have to be able to see Chosun from there. Anyway, your interpretation is wrong. One more thing, did you know that the Shogunate also gave the same kind of permission to the persons who went to Sado island for silver mining or to the persons who went to Izu islands? > The other translation which is also shared by some Japanese can be supported by Japanese maps of the day. As you know, Japan is a democratic country so there are various opinions from right to left and mine is ordinary one. Some are pro-Korean and some are pro-NK. But I think the society with broad spectrum of opinions is healthy. On the contrary, there seems to be only one-sided opinion heard in Korea because there is no freedom of speech, no freedom of publication…. I hope Korean people can read all the opinions freely and decide themselves. I don’t know what you mean to show with you picture. Which is equivalent to 6 minutes of angle. If each pixel covers approximately 6 minutes of angle, Dokdo would be the height of a single pixel in that picture. If you wanted to show something at all relevant to Dokdo’s visibility to the naked eye, you’d put up pictures with at least the resolving power of a 20/20 eye. I’ve put up links to pages about visual acuity that suggests humans can distinguish lines that are 1 minute of angle apart. So I suggest putting up the same picture except at 1440×1920 resolution or higher. Preferably higher, since if the angle of view on the camera that took the picture is 50 degrees, you’d want 2880×3840 resolution to compare to what the human eye could see. I only introduced the story and the photograph of the person who actually did to seeing. To begin with, it is evidence with little thing where such a thing is seen to become a topic. To begin with, it is evidence that taking in the picture becomes the topic to hardly see. I think that Usando before the 17th century is an island of the lie. Therefore, I am not so interested in this topic. Correction. Here is correct url. It is difficult to prove invisible. The side on which it is insisted that it can see should prove. You should study “appeal to ignorance”. So I suppose photos and people who say that they have seen the island from Ulleungdo is not enough to convince you that it is visible. Seems like you’ve already concluded that Dokdo can’t be seen and ignore any information to the contrary. I suppose we have completely different goals, though. What I gathered from your last two posts is that you want to show Dokdo belongs to Japan. That ‘s great. I want to show it is unreasonable to assume the photo above is fake. I hope you see how those are two different things. Buf if you desire to also show that Dokdo is not naked-eye visible from Ulleungdo, the photo you’ve linked to does not help. I think opp is saying that the Korean nationalists are really stretching it because Liancourt is rarely seen from Ullengdo. You understand that often times the atmosphere is not so tranparent and far objects don’t appear all the time. And in this particular case, the Liancourtit is rearely visible unless you wait on the peak of Ullengdo and wait for a months or so gazing out the horizon. I think this is pretty apparent from the low resolution (looks like Nessie, as someone pointed out) of the photo and the fact that there are only one or two of these photos around. Opp is not saying that it’s fake. And because you can see a far out island doen’t mean you have it. This goes the same with any country. The I-can-see-so-it-must-be-mine logic just baffles me. The Koreans really should present evidence that they have been to the island if they are to claim that they had it all along before Japan’s official claim in 1905. They don’t, and now and if someone makes this point clear, they start arguing how Imperial Japan was evil, as if that proves anything. This is going nowhere. I say let the Koreans have the island, use all the tax money they can afford to fortify it, but just don’t make up this fantastic story about Liancourt being the first Korean territory to be taken by Japan and that the “greedy” and “inmoral” Japanese are on to take it again. The author is also writing that she cannot see Takeshima in fine day. I did not conclude. I saied that Takeshima will be seen several times of one year from the vicinity of the top. The possibility is high on a fine day immediately after the typhoon. Korea should prove that Takeshima can see by naked eye. It is useless in the picture by the telephoto lens. You should study “appeal to ignorance”. However, it is unrelated to Takeshima’s title in Internatonal Law. International Law demands specific evidence without the doubt. This will help you solve your doubt. Though I’ve ever been to Japan, I’ve never been to Ulleung-do. But, I’m sure that anyone can have the chance to find it there with the naked eye unless you are not the poor-sighted. I can not see the trees of Takeshima(Dokdo). I can not see the sand of Takeshima(Dokdo). Pacifist I used to example that some Japanese disagree with your translation to prove a point. Your “Japanese grammar rule” is rubbish. Your translation cannot be proven by maps of the day or for two hundred years thereafter. The fact that a Japanese voyaged was granted permission to voyage to isn’t worthy of making a land claim. Certainly you can’t infer that it was Japanese territory on that basis, that is lame Pacifist. Without a map or documents that proves title to prove your point you’re screwed. Again the shogunate gave permission to voyage NOT title to land. The shogunate cannot grant land title that is not included within any prefecture of district under his feudal jurisdiction Pacifist. The shogunate didn’t mention Dokdo in the Ulleungdo decree because the issue of travelling to a rock for 5 days return with little or no fresh water and average fishing was a non-issue. There is not one document of Japanese travelling to Dokdo as a sole destination. The fact that the Japanese man lied about going there further illustrates this point. Tomato, Dokdo wasn’t the first land taken by Japan. It was but one territory taken after Taiwan, Hokkaido, Marcus Island and Osagawara. Even a year before the Japanese took Dokdo they already had military stationed all across Korea. You have a serious lack of historical context Tomato so get off the internet and get yourself a library card because I’m tired of teaching you Japanese history. You can read comments insinuating that the photo is fake without giving a reason. I’ve given figures that indicate there is line-of-sight between Ulleungdo and Dokdo and that Dokdo is large enough to be seen from 92km away. I’ve not seen anyone offer up a good reason why they think this photo is fake. It seems to me they have assumed that whatever pictures of Dokdo from Ulleungdo must be fake and therefore needs no explanation as to why they must be fake. This seems irrational to me. I don’t think I said that the photo was fake. Nor did opp. Can you carefully read before you make comments? It’s rather rude how you comment. Travelling to Takeshima/Dokdo didn’t need 5 days, toadface. When Ahn Yong-Bok was captured in Ulleungdo, it took two days from Ulleungdo to Oki island. So I assume it would take one day from Oki to Takeshima/Dokdo. It also takes one day from Ulleungdo to Takeshima/Dokdo. Japanese fishermen were used to long voyages (you know they hunted whales in the pacific ocean, some fishermen drifted ashore to USA in the Edo era) and they frequently went to Ulleungdo but Korean fishermen engaged in coastal fishery (abalones , seaweeds) not pelagic fishery. And they were banned to go to the islands in the Japan Sea in fear of pirates. How could Korean fishermen come over to Takeshima/Dokdo for 92km? Japanese fishermen could. They sometimes went to Takeshima/Dokdo after 1969. As I showed you in the different thread, a man captured for going to Ulleungdo had disguised to go to Takeshima/Dokdo. You know, going to Takeshima/Dokdo was not special things for the Japanese fishermen. toadface, did you forget to bring the evidence? Are you admitting that you were defeated as ponta says? I’m sorry if you read that into my comment. But if you read again, you will see I did not say you or opp thought the photo was fake. I only said that you can read such comments, as they are above in this page. I was not calling you or opp irrational. Just those who assume the photo is fake without reason. That’s one great insulting comment you gave, toadface. It seems to be that the more you make your comments, the more you reveal yourself to be ignorant and motivated by hate. I suggest you to calm down and take one or two breaths before you post anything here. I can see how I wasn’t clear in the comment you objected to. Sorry for causing the misunderstanding..